BOSTON, April 08, 2019 – Gravyty and Brodeur Partners today announced a strategic partnership which allows Gravyty’s AI-enabled First-Draft technology to be powered by Brodeur Partners’ proprietary alumni research services. This new solution will enable fundraisers to build stronger and deeper relationships with supporters and give donors a personalized, more meaningful experience. Together, Gravyty and Brodeur have extensive development experience with leading independent colleges, Ivy League universities and public institutions. Together, Gravyty, the first and leading provider of AI-enabled fundraising software, and Brodeur Partners, a leading strategic communications firm, deploys a full fundraising solution – from alumni research to message segmentation and program execution. Gravyty and Brodeur will blend art and science, allowing advancement offices to increase fundraising performance, expand the workforce, drive action for frontline fundraisers, and build relationships at scale. This partnership comes at a time that higher education needs it more than ever. Across the fundraising industry, there’s a talent shortage of qualified fundraisers to sustainably inspire philanthropic gifts. Coupled with the increasing competition for giving, frontline fundraisers need innovative approaches in reaching supporters.. The full fundraising solution from Gravyty and Brodeur will deliver research about specific messaging, channels, and activities for engaging and motivating alumni populations directly to frontline fundraisers’ inboxes via First Draft, Gravyty’s flagship AI tool. By eliminating the need to orchestrate the minutia of what goes into relationship-building outreach directly to the inboxes of fundraisers, this solution will allow institutions to build relationships at two-to-three times the scale they typically experience. Dr. Leonard A. Schlesinger, Baker Foundation Professor at the Harvard Business School and former President of Babson College says higher education institutions must rely on “deep data dives” and technology advancements to increase alumni engagement and gifts. 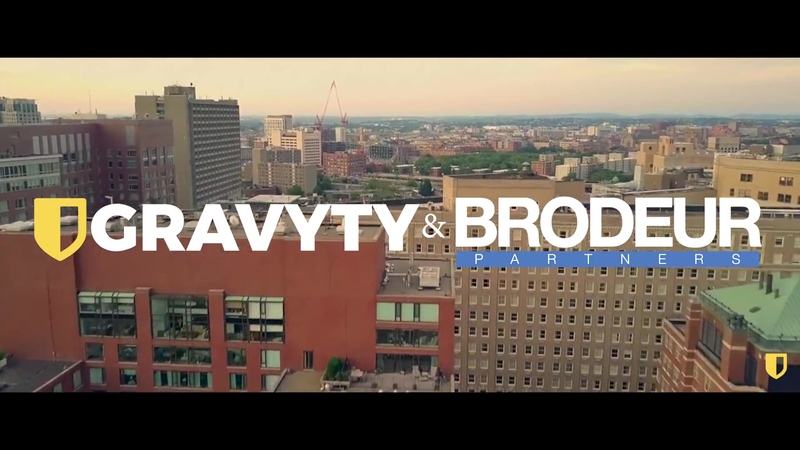 To learn more about how Gravyty and Brodeur Partners are working together to improve the Fundraising industry, have a look at our video below and contact us here. Gravyty is the nonprofit industry's leading provider of AI-enabled fundraising software. With artificial intelligence and machine learning, Gravyty automates the most time-consuming processes for frontline fundraisers. Gravyty's products empower fundraisers to build lasting donor relationships and raise more revenue for their missions in ways never before possible. Led by former fundraiser Adam Martel and AI technologist Rich Palmer, Gravyty was founded at Babson College and is driven by their motto, "You shouldn't have to learn your software; your software should learn you."